People are actually buying other people's sneezes ... for $80 a pop. People are getting sick on purpose, in a pretty gross (but suddenly trendy) way. California-based company Vaev has run out of stock of its product -- a germ-infected facial tissue -- and more are on the way. The intention is not for people to have a legitimate reason to stay home from work, but rather for people to get sick on their own time. For example, if you've got a wedding coming up, you might want to get sick now so you can be healthy for the important event. Vaev says its tissues, which contain a real human sneeze (nope! ), are safer than pills or needles. And the startup is selling them for a whopping $79.99 a piece (double nope!). This seems unsanitary, but you wouldn't know it from Vaev's clean website, which makes the tissue look like an expensive beauty product. "Prepare for flu season and feeling clear all year round with the Vaev Tissue. 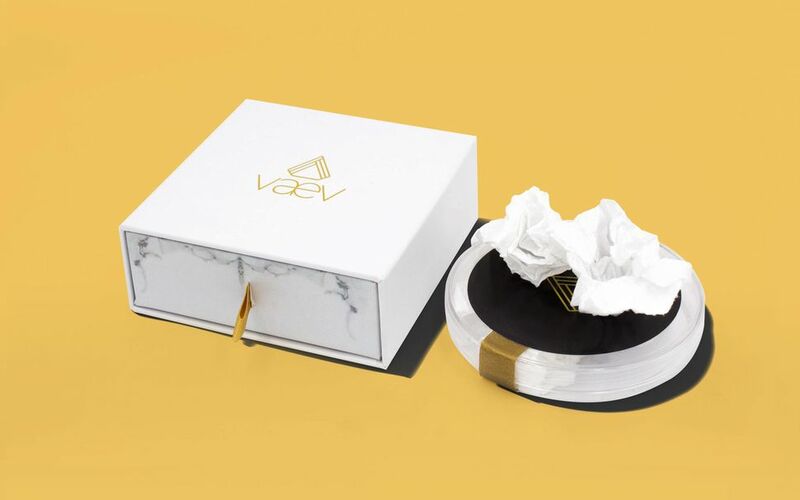 The Vaev Tissue is specially treated with organic ingredients, is non-prescription, and works hand in hand with the human body to keep your immune system feeling like your immune system." The problem? There are more than 200 viruses that cause colds, along with countless other bugs going around. Even if that infected tissue gets you sick, you'll have only managed to ward off a single virus. Plus, your immune system will be suppressed while you recover, possibly making you more susceptible to other illnesses. That's why there's no vaccine for the common cold -- viruses change, and there are too many of them. Vaev's website promises the tissues are "specifically engineered to contain and absorb colloid buildup, salts, antiseptic enzymes, immunoglobulins, and glycoproteins such as lactoferrin and mucins, produced by goblet cells in the mucous membranes and submucosal glands." But there are other complications with the product itself. Where does the sneeze come from, and do the germs survive shipment? What about the liability of that virus turning into something more serious, like pneumonia? And finally, are you really willing to stick your face in a used tissue from an unknown sneezer just because it comes in a fancy box and is aspirationally priced? These are the questions we'd like answered. Share your thoughts with us in the comments below. We've got some tips on how to get over a cold quickly! Check 'em out.